Renting a scooter or even a bike just got a lot affordable thanks to ONN Bikes. They offer hourly to monthly packages on Bajaj, KTM, Honda, and Yamaha two-wheelers. 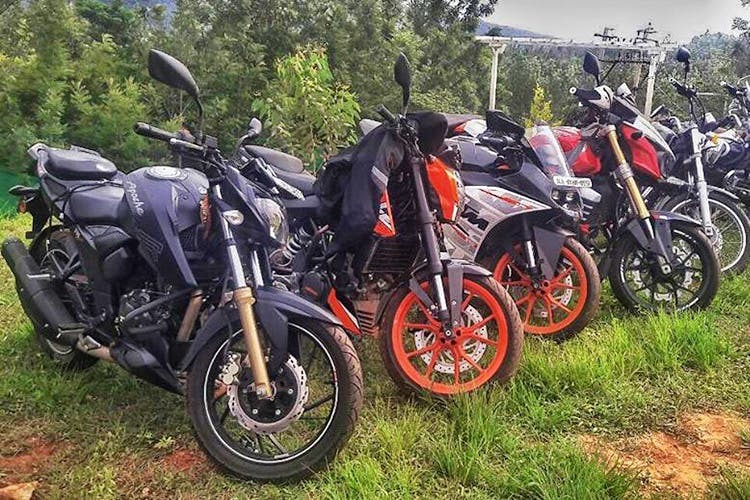 If renting a KTM Duke 250 or a Royal Enfield Continental GT 500 and zipping along the Mysore-Bangalore highway is your kind of thing, ONN Bikes is your new best friend. The bike rental service has a fleet of the above-mentioned beasts as well as city slickers such as the Bajaj Pulsar NS 200 and Honda CBR 150 along with a host of other two-wheelers that can be put in either the ‘office’ or ‘run a quick errand’ category. All this for as low as INR 79 for a minimum 4-hour period. If you are renting it out for the entire day (24 hours), the charges start at INR 199. If you do the math, there’s a lot of win-win starting with not having to wait for a cab or have a cab cancel on you last minute. Besides, it’s always cool to arrive at a party wearing your racing leathers. For those of you who love doing those bike rides but have useless friends who don’t own a bike or even let you borrow one, ONN is that friend who will let you keep the bike just for a day or for the entire month. Yup, they offer monthly packages on their entire fleet with the charges starting at INR 2999 per month. Renting a two-wheeler on ONN Bikes is quite easy and a three-step process, we found out when we were booking a Honda Activa for 24-hours (9am to 9am). Step one requires you to enter your rental period. Step two is choosing your vehicle available for the said duration from the list of locations the vehicle is available. Koramangala, Ulsoor, BTM (2nd & 3rd Stage), Electronic City, HSR Layout, Indiranagar, Whitefield, and Kundalahalli are most of the places that you can pick up (and drop off) your vehicle from. The final step is payment and voila, you have booked your vehicle! The only thing remains is picking up your scooter and enjoying your ride. Do note that the rental duration allows you limited kilometres for free. Once you cross your limited free kilometres, you will have to pay extra charges per kilometre as applicable.